QuickMap, your quick, smart and cheap laser print service! now it became true: digital laser printing of O maps directly out of OCAD has nearly the same quality as offset printing! Think about this: how did you survey, print and use O maps so far? You had to send the map to the printers a long time before the first competition using this map. You always had to survey an area which was larger than necessary for the first competition, to be able to use the map for multiple events and to save printing costs. This was a risky investment in advance. You had to pay for all maps immediately. If changes on the map became necessary, this was impossible to do or had to be done manually. Often you had to change controls or even courses due to errors in the map. Course printing was expensive and expendable. Thus, for smaller regional events, you had to draw the courses manually. Those limitations became worse with every additional competition on the map. Then there were also changes in the nature. Last but not least: How many old, never used, but paid maps do you have on stock? Which advantages do you have with digital map printing? The maps will be printed shortly before your competition, including courses. You can survey and/or print only that area which is needed for the current competition. Lateron, you may simply extend the area. There will be no competitor who owns a map including the new area before the next event. You will pay for exactly the number of maps only, which you need for your current competition. Changes on the map are possible until shortly before the event. You can optimize the map based on your course planning and not vice versa! Especially for small regional competitions, digital map printing is the most economical choice. The automatic course printing is a great benefit here. Digital map printing pays also for large events. 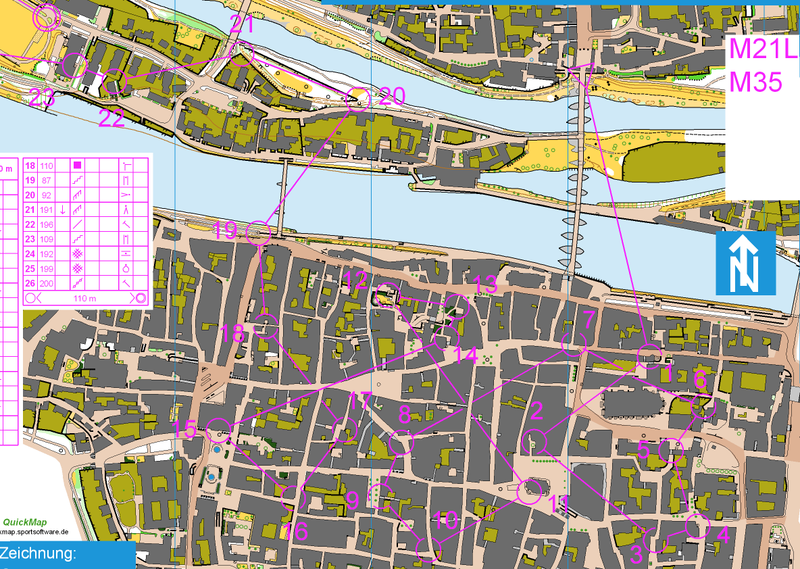 So far, numerous national championships and multi-day events throughout Europe had used QuickMap! You have an up-to-date map at each competition. Your personal investments in the survey and drawing will be saved optimally! You send us an OCAD file which includes the map and the course setting, together with amounts, at latest one week before your event. You receive all maps/courses with the specified amounts within a couple of days (or according our agreement). You will pay only for the exact number of maps which you need for your current competition. Your map is always up-to-date. You have only the actual competition area on the map (may be important for multi days). The printing quality is nearly the same as with offset printing. Runners will not be able to recognize the difference during the competition. Course printing is included without extra costs! By default, the maps will be printed on 120g waterproof Pretex paper. We can print formats A4 and A3. Scale 1:10000 is recommended. The base and course setting maps should be delivered in any OCAD format up to OCAD12. Even if you are already printing your maps on your own colour printer, QuickMap is worth a try! Send us a clip of your O map (zipped (please…) OCAD file) and we will send you a sample printout! Compare the quality with that of an offset map and the output of your own printer! Compare the costs!